This is the easiest distressing technique ever and I’m going to share every little detail with you. 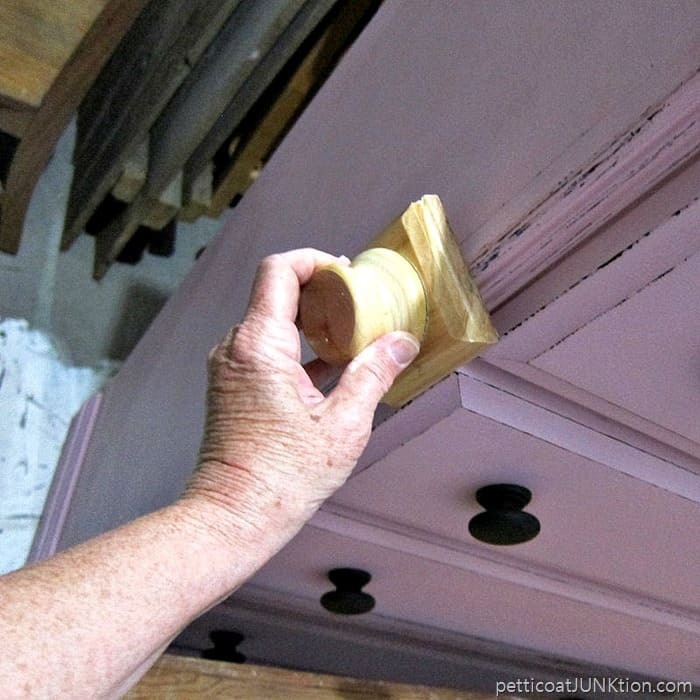 I promised you guys a tutorial on the “ pink chest with an edge “ featured in a post last week. Well, today is the day. You might be surprised when you see how I “distressed” the paint to get the black details. 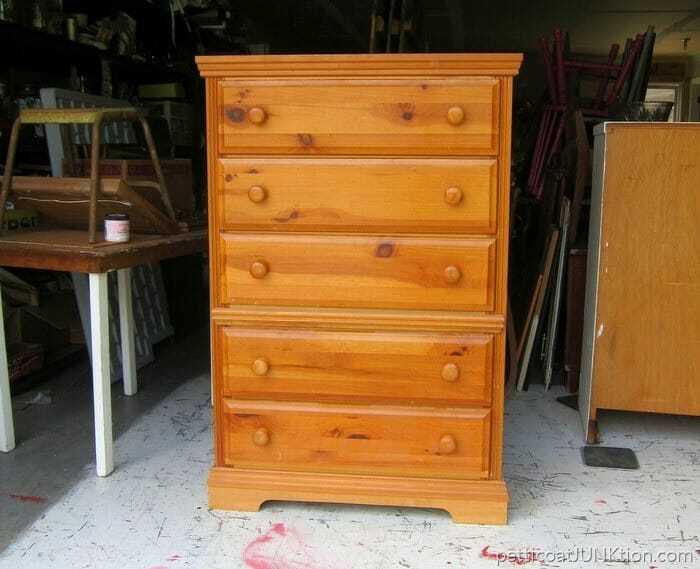 A look at the chest before I began painting. The chest was a freebie from one of our neighbors. As you can see the runners were a complete disaster. The JTS (hubby, aka Junktion Technical Specialist) made new runners. He’s the greatest. There were a couple of runners that were salvageable but the others are brand spanking new. Thanks honey. 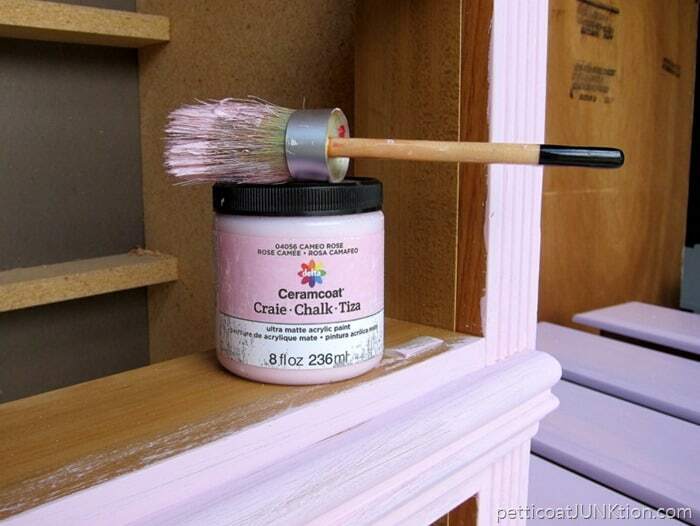 The paint is Ceramcoat by Delta and the color is Cameo Rose. The paint is chalky and coverage was great. That one small jar did the job. 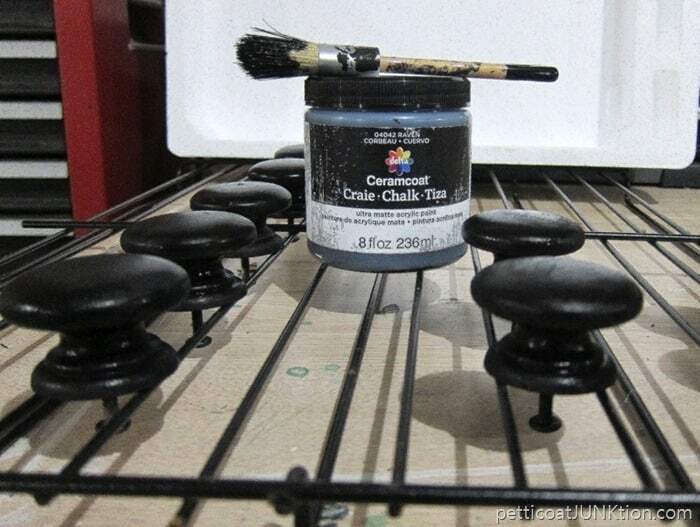 I painted the original wood knobs with Raven color Ceramcoat. Now for the fun part. I used the FolkArt Home Decor Layering Block (find the block here) to do the “distressing”. The paint on this piece is not really distressed. 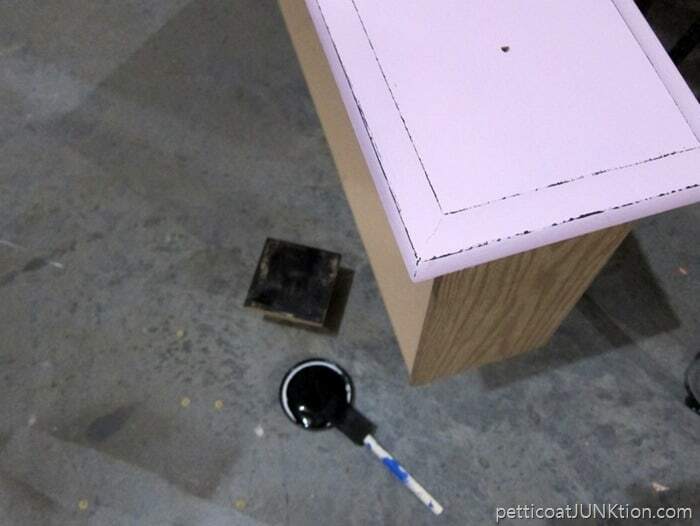 The black paint is applied on top of the pink paint with the layering block. 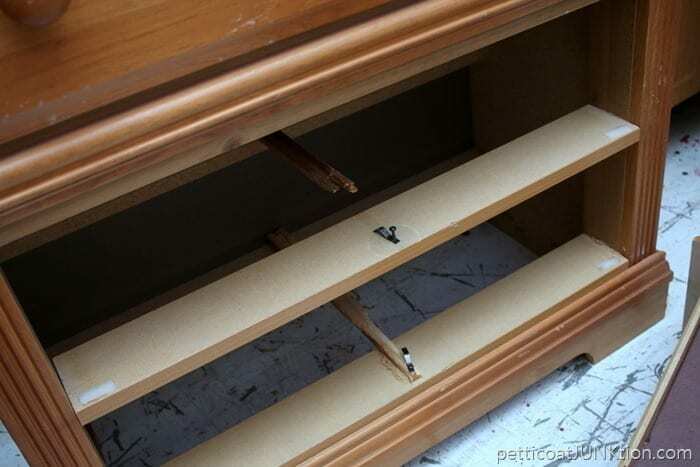 Then I ran the layering block all over the edges of the dresser, hitting all the pretty details. I brushed more paint on the layering block as needed. I cannot tell you how easy this technique is! I’ve had the layering block for a few months and really didn’t think I would use it to get the “distressed” look. I was skeptical about how well it would work. When I was at Plaid Crafts headquarters a couple of weeks ago I had a chance to see the process in action. I have to tell you that even looking closely at the paint it’s hard to tell that the black is sitting on top of the pink paint. 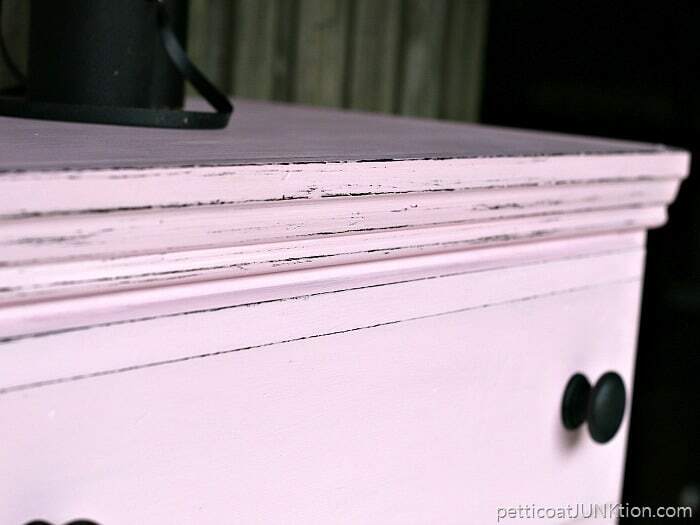 It really looks like the pink paint was distressed and the black paint is underneath the pink. The whole layering block process took no time at all and no messy stuff from sanding. I will definitely use the layering block in the future. Probably a lot. I was so excited when I was using the layering block…… I kept talking to myself because I just had to tell someone about the block….and no one else was there. The last time I used the layering block I made a video! You can see it below….. I finished the chest with Ceramcoat clear wax applied using a soft link free cloth. 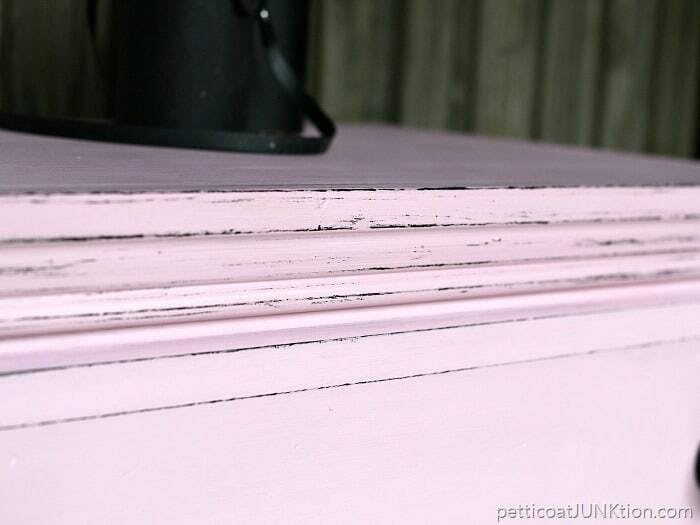 Can you tell by looking at the photos that the paint is not distressed? I made a video using the layering block and a bottle brush to distress and antique furniture. 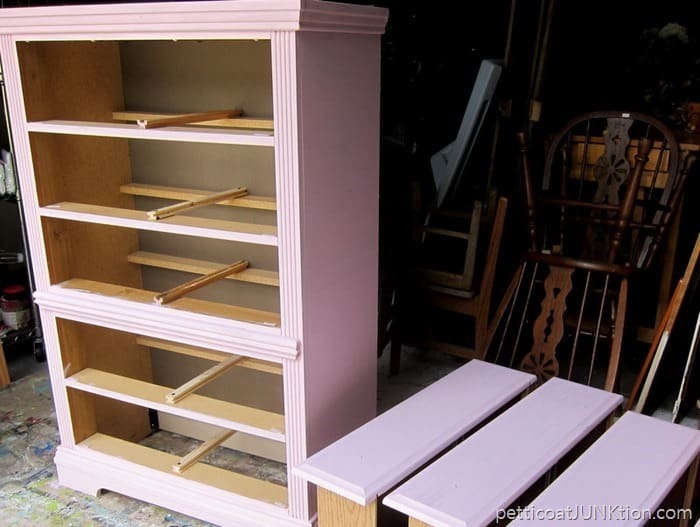 See the project here…..How To Paint Problem Furniture. Where did you get the creams coat products? Really looks genuinely distressed! Thanks for sharing! Thanks for the layering block info . I usually use my finger!!! Amazing! Even looking closely I can not tell it isn’t black peaking through the pink. This is my favorite thing I’ve learned this year! Always learning. I’m ordering the block today. 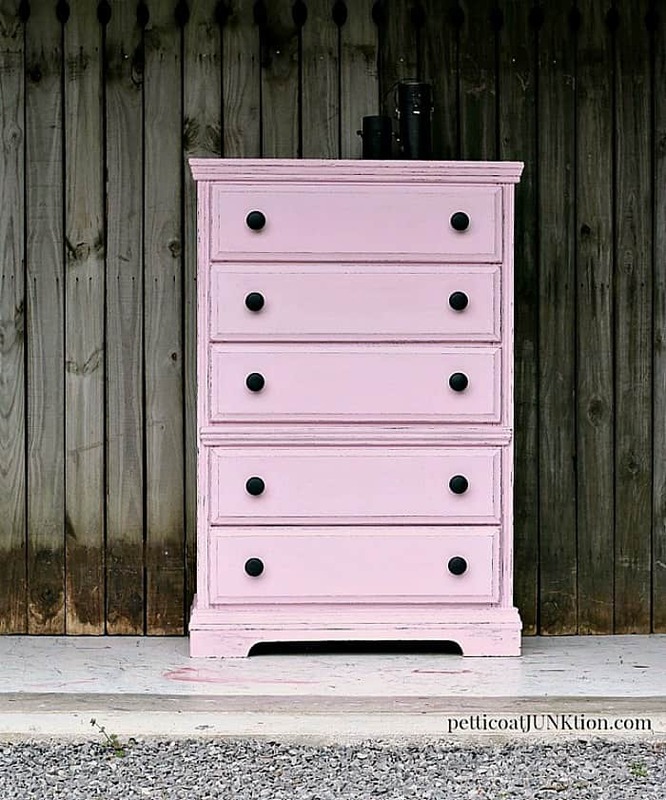 And the pink dresser is sooooo much better than the plain old wood. Love it! 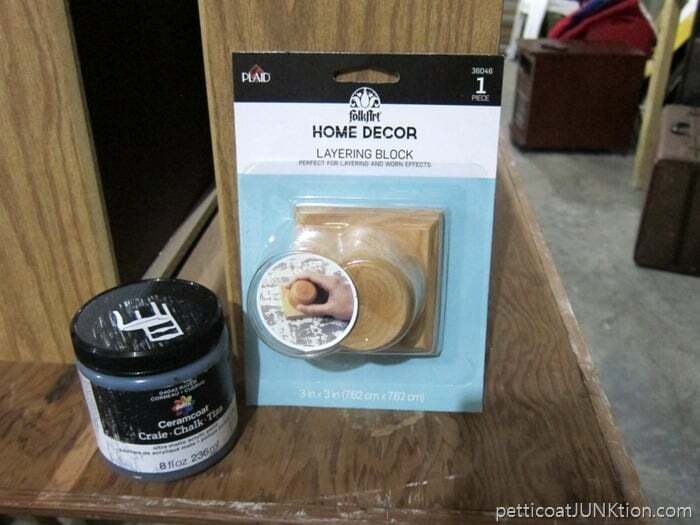 Where did you buy your layering block? I have two words Kathy, Holy Crap!!! This is so being added to my workshop arsenal. 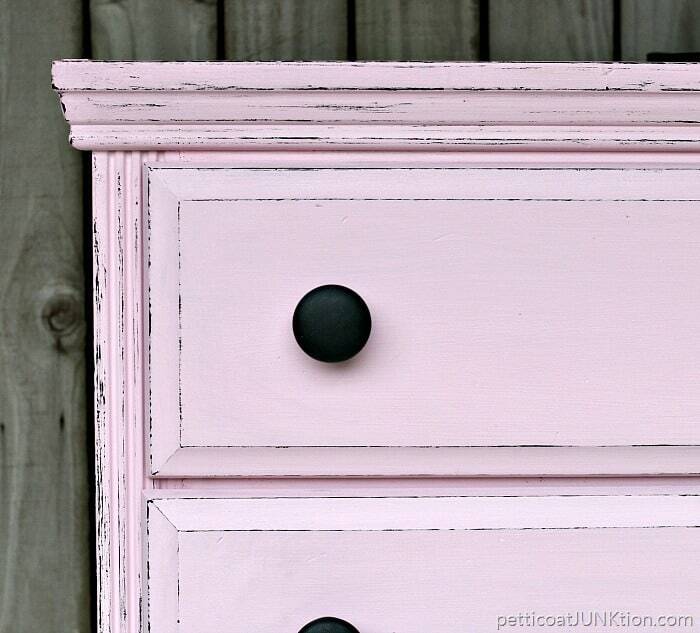 You’d never know that dresser isn’t distressed! Wow, Love this, I can’t wait to try it! Ok, I love that layering block already. No worrying about going too far with the sandpaper! Gotta get me one of those…rhanks! I love it. I’m ordering one! It’s a FolkArt product so wherever they carry the brand should have it. Also there is a link in the post above to the product on Amazon. It’s the pink writing that says layering block. Great to know! Love this post. That is really cool. I didn’t not notice until you told how you did it. I like it. Looks distressed to me. Fabulous short cut tool. Thanks for sharing this tip. 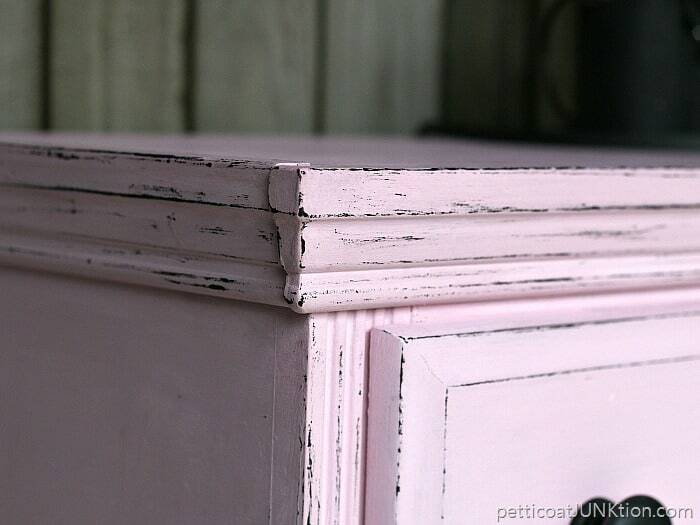 So that’s how you did that nice, subtle distressing! Cheater! Just kidding! It looks great! And, it’s a good tool to know about.